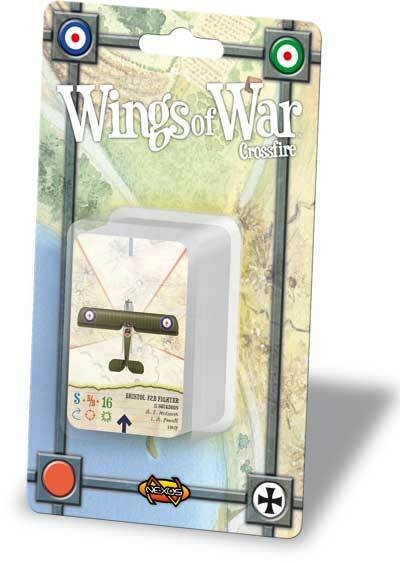 The Crossfire booster pack brings 4 different airplanes to the fray: the famed two-seater scout Bristol F2B Fighter and the more traditional two-seaters Rumpler C.IV, SAML S.2, and PhÃ¶nix C.I. These planes fought in the skies all over Europe during World War I, and played a vital role in determining the outcome of the War. The Crossfire Booster Pack is composed of 18 airplane cards and 3 decks of Maneuver cards (K, R, and R).